Babolat pure drive has been an iconic racket in the tennis world. For more than 20 years the pure drive has been the first choice for pro players. The racket offers impressive spin and power which helps to make accurate and faster shots. As it is a heavy racket, you get a very comfortable feel of the racket. Pure Drive is made for the players who want more power and this racket doesn’t compromise with power. It helps players to take charge of the play and hit accurate shots with more power, feel and spin. Babolat analyzed the player’s style of playing and through research, they made it possible to generate more contact with the ball and the strings. This helped in adding more power and spin to the racket with the extra feel to it. Babolat Pure Drive racket has been made with the latest FSI Technology, which raises the sweet spot of the racket and makes it possible to get a better grip on the ball and make optimum shots. FSI Technology helps in making the sweet spot of the racket larger than it is and the string patterns make the sweet spot even larger. This makes it possible for the player to hit powerful and accurate shots even at different angles. The racket is endorsed by pros such as Fabio Fognini, Mikael Ymer, and Gabi Muguruza. The racket filters out vibrations which provide excellent feel and better comfort thanks to the Cortex Damping Technology without compromising the feel of the ball on the racket which is useful to hit accurate shots. Babolat also introduced the Woofer Technology to provide the player with more comfort and control. It gets rid of the string lock up and enhances the strings so that they can move freely. This makes it possible for the ball to be in contact with the strings for a longer time and get better spin with extra power in every shot. It also helps to absorb shock and dampen the vibrations made from every shot to give an accurate and perfect shot every single time. Babolat aimed to make a racket which was lighter and didn’t lose its power performance. Babolat Pure Drive Team is made especially for ground strikes as the team model is specially made for raw power performance. It’s made with the FSI Technology which creates a larger sweet spot so the player can hit accurately and with more power and spin in every shot. The lightweight racket is very impressive in volleys and serves. The racket can be easily maneuvered into any position easily due to its light weight frame. Volleys can be hit with ease and help players to finish the play with ease. Serving with the pure drive is fairly easy due to its lighter frame, making accurate spin shots is easy. The cortex system makes it fairly easy for the ball to be in contact with the strings for a long time. Strings made by Babolat are perfect to use with this racket as they ensure that the ball is maneuvered by you with ease and accuracy. Babolat makes sure that there is a racket for every player with different strengths and different playing styles. Babolat Pure Drive Cortex is a mid-size,mid-weight tennis racket which is made for intermediate players. It offers perfect response to the players who can hit all types of shots with ease. It offers the woofer technology which helps the player against vibrations and getting their wrist injured. The FSI Technology makes the sweet spot bigger and better to hit accurate and spin shots. The Cortex Technology adds more vibration dampening to the racket which helps against arm injuries. The racket adds more power, spin and feel in every shot. 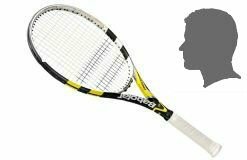 The racket was used by the top pros such as Carlos Moya, Kim Clijsters, and Andy Roddick. Babolat Pure Drive racket is one of the most iconic and popular rackets of all time. It is recommended by every player who has used it in play. The racket helped change the face of modern tennis as Babolat introduced FSI Technology in the racket. Babolat made the sweet spot bigger and added more power and control to it. 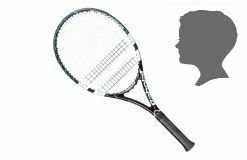 Overall this racket is an iconic racket and Babolat ensures that every player has a Babolat racket to suit their playing styles.